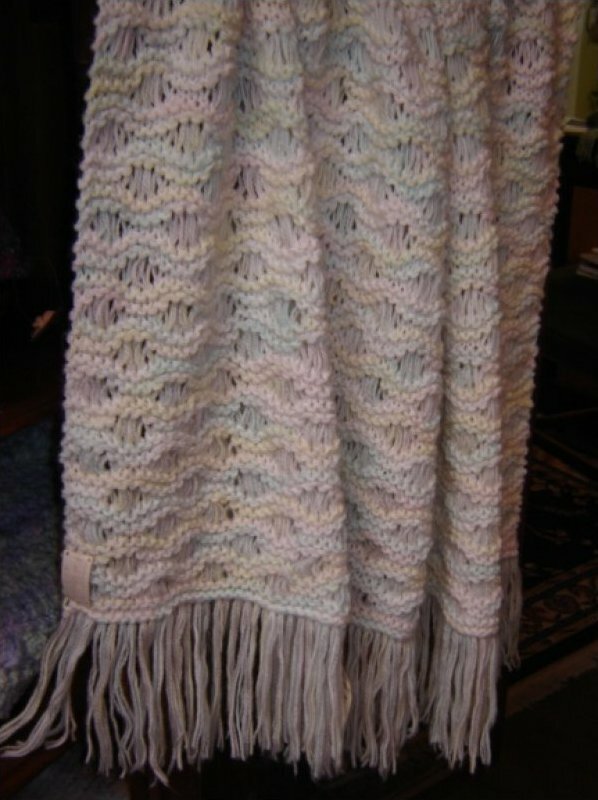 This hand knit baby blanket is knit out of Feza Cozy a blend of Acrylic, Mohair and Polyester and measures 31" X 44". The blanket is knit with a crochet edge. 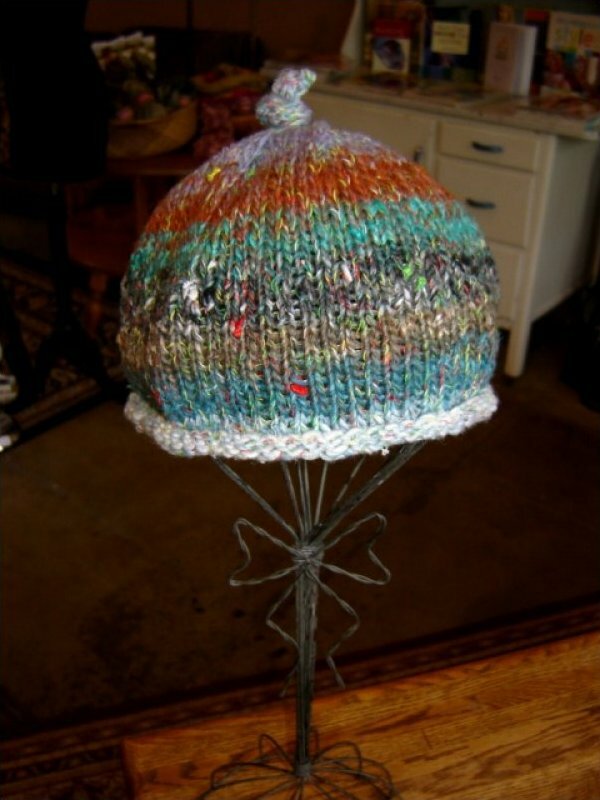 This hand knit hat was knit with Noro Furin and will fit an infant to toddler. The colors will look great on a boy. 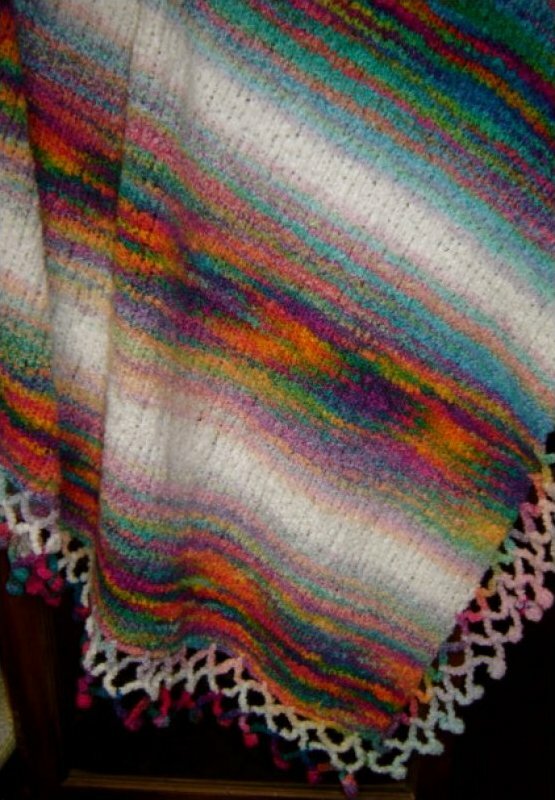 The Margarita Baby Blanket is knit with 2 Strands of yarn. Blue Sky Alpaca and Katia Margarita are knit together in a block pattern. The blanket measures 28" X 32". 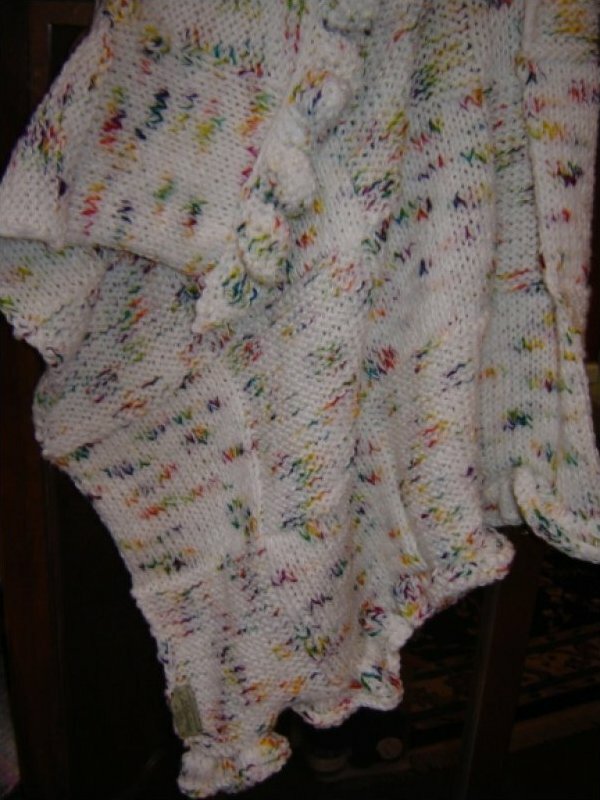 This 2 strand Hand Knit Rainbow baby blanket is knit with Paton Canadiana and a Rainbow Novelty yarn and measures 27" x 36". The Wave Blanket is knit with 2 strands of Canadiana and a Unger Novelty yarn. The blanket measures 34" X 48".